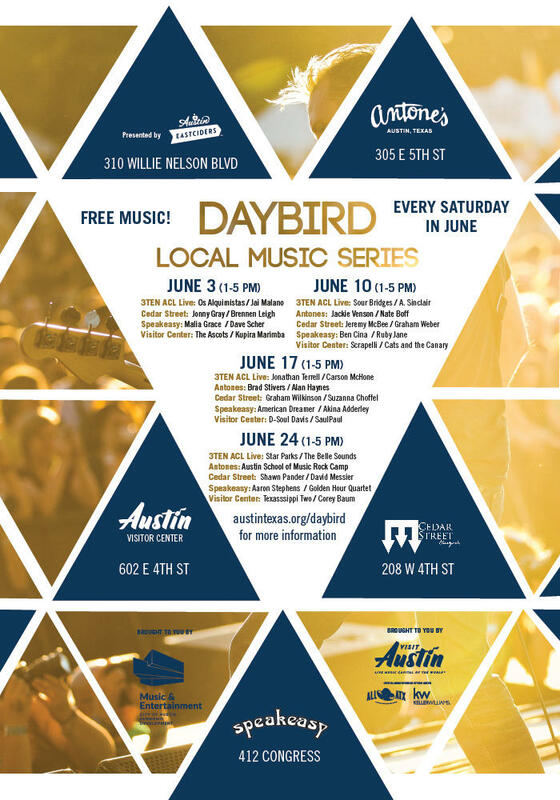 Daybird Local Music Series, a first year effort, aims to promote and create live music experiences during earlier hours for visitors and locals alike! Catch some of the best sounds the city has to offer at these great music venues between 1 p.m. and 5 p.m. every Saturday in June. All ages are welcome.